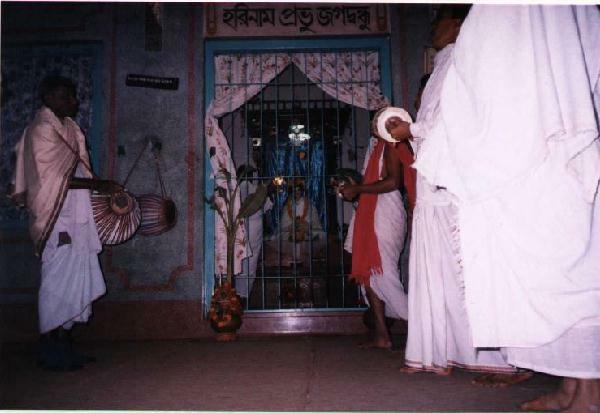 The grand evening arati kirtan of SriSri Nityananda Trayodashi - birthday of SriSri Nityanamda Mahaprabhu (when Bandhusundar came out of Gambhira after remaining closeted inside for 12 years in 1913 - 13th Magh, 1320 Bengali year, just for 3 days, starting this day). 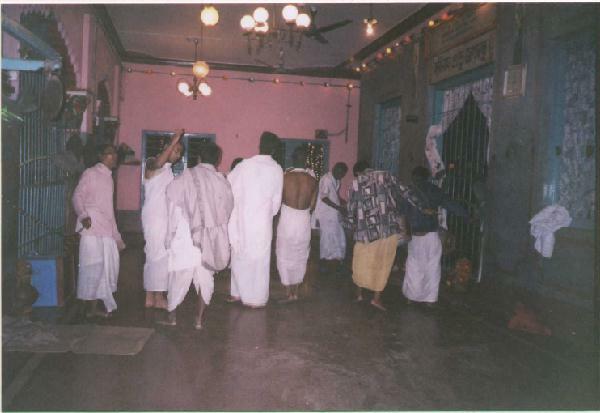 This grand kirtan evening was on February 6, 2001 that kept the Gambhira temple and the ashram reverberated in kirtan songs in the midst of celestial pleasure. This kirtan is indeed a perpetual joy to witness and reminisce. 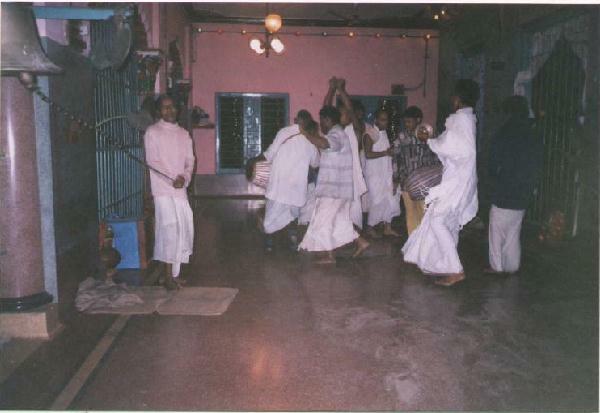 The 'brigraha' (statue) of Bandhusundar appears to be alive and very joyful to watch this kirtan festivities during this time. 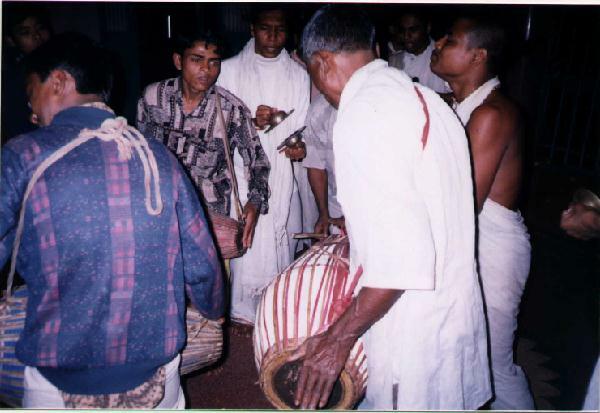 Sri Hari Priya Brahmachari, the senior brahmachari in charge of Faridpur Sri-Angan at present is playing the 'Mridanga' in Picture 1 with white shirt.